It’s on! This year’s excavation campaign (17 March to 24 April) started far more comfortable than we are used to. 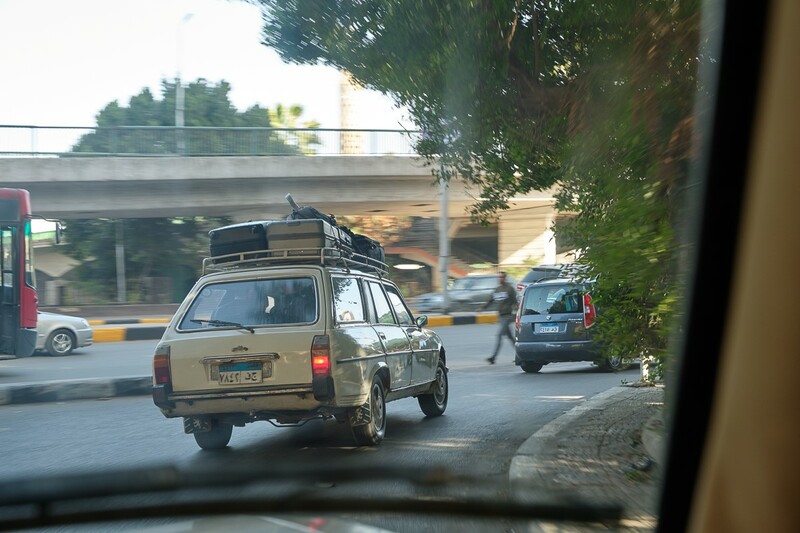 Because of the frequent travels to Egypt in the scope of our new EU project with the Egyptian Museum in Cairo we were able to negotiate a nice deal with a hotel in Zamalek that we are also allowed to use for our travel to the excavation. This is nice, because we have now a big team where we can all be together. On Friday 15 March, the whole team could therefore share a delicious breakfast buffet with Nile view! After some shopping we were ready to go to Saqqara. Our Saqqara drivers Hassan Yusef came to pick us up in his Peugeot and Moshir Tawfik, the driver of NVIC, came as well with two cars to get the total of 13 team members and all our equipment to the dig house. Caption: Driving to Saqqara. Photo: Nicola Dell’Aquila. Atef Sayed Ramadan, our cook, had already arranged for our equipment such as books and mosquito nets to be moved to the house from the Saqqara storage. So, we could unpack immediately upon our arrival. 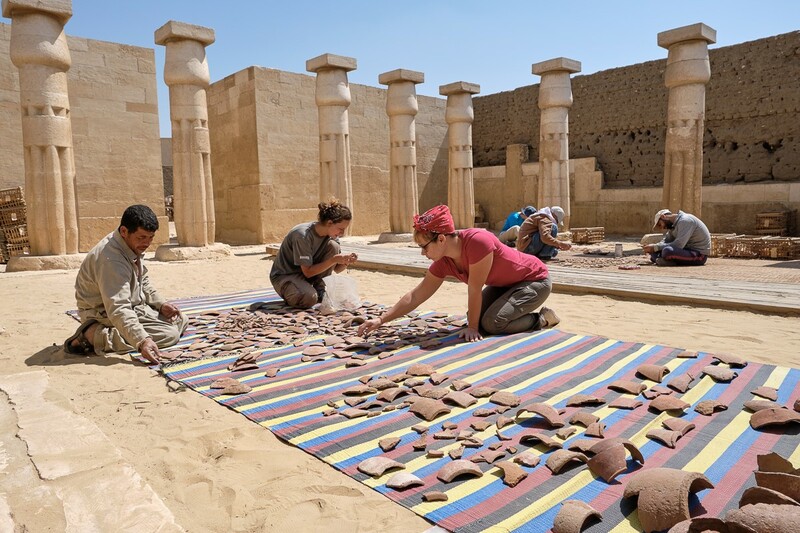 The next day, Saturday 16 March, the team went on a field trip to the Imhotep site museum, the Serapeum, the Djoser complex, and the tombs of Maia and Nemtymes in the Bubasteion area. 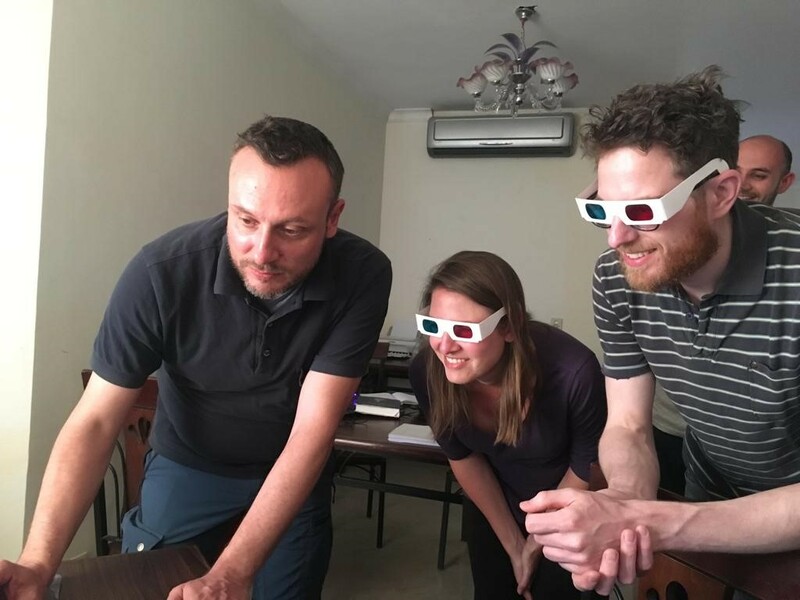 Caption: From left to right: Deputy field director Paolo Del Vesco, and Leiden University Archaeologists Miriam Müller and Nico Staring looking at a new 3D model of our excavation area kindly made by the 3D Survey Group / Politecnico di Milano. Photo: Luca Perfetti. 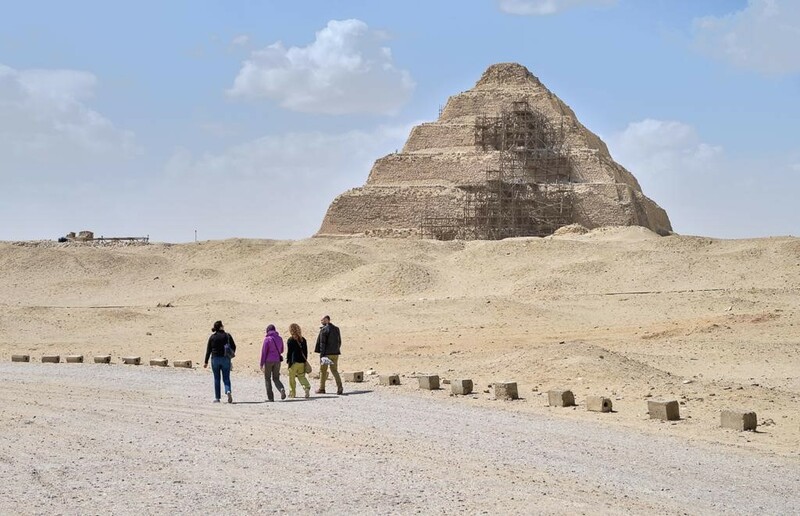 Caption: From left to right: Field director Lara Weiss, Archaeologist Miriam Müller, Pottery specialist Valentina Gasparini, and epigrapher Daniel Soliman walking to the pyramid complex of Djoser. Photo: Nicola Dell’Aquila. 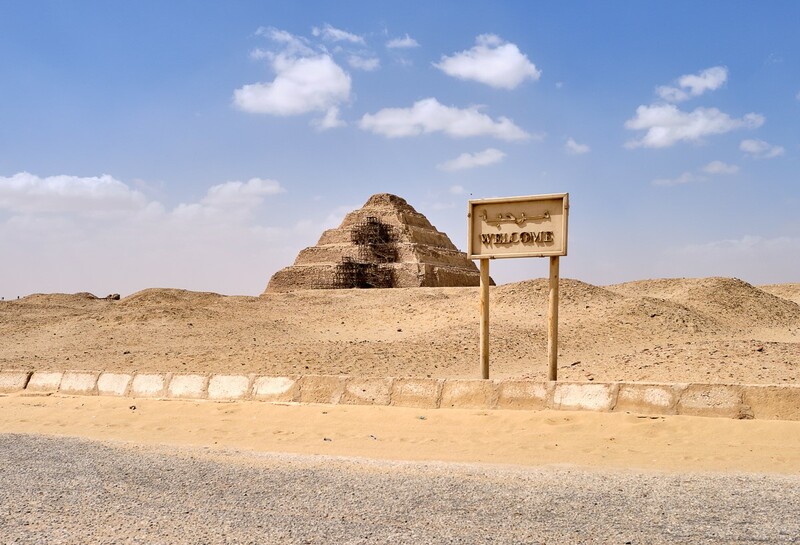 Caption: Welcome to Saqqara. Photo: Nicola Dell’Aquila. Caption: Luca Perfetti surveying the site. Photo: Nicola Dell’Aquila. 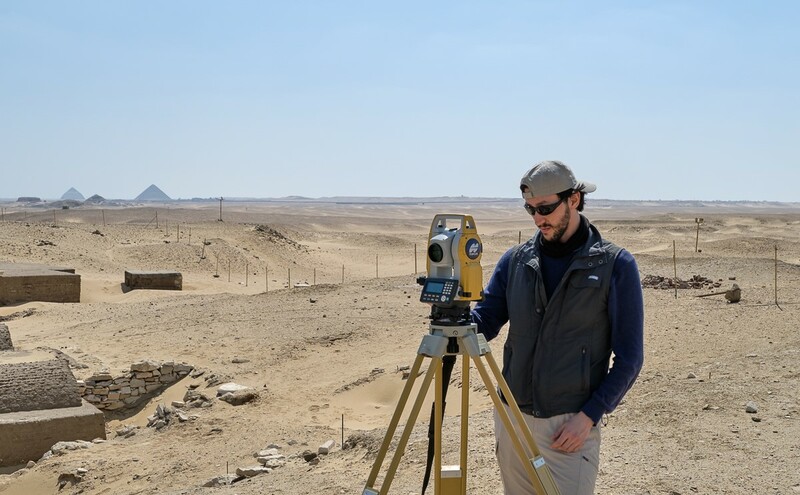 In addition, PhD student Luca Perfetti, a member of the 3D Survey Group, will survey the underground chambers of the Early Dynastic tomb that is situated underneath of the tomb of Meryneith. These subterranean rooms were already discovered at the time of excavation of the tomb of Meryneith (c. 1325 v.Chr. ), but with the new methodology we hope to get even better analysis results of the space to be published soon by Ilona Regulski. 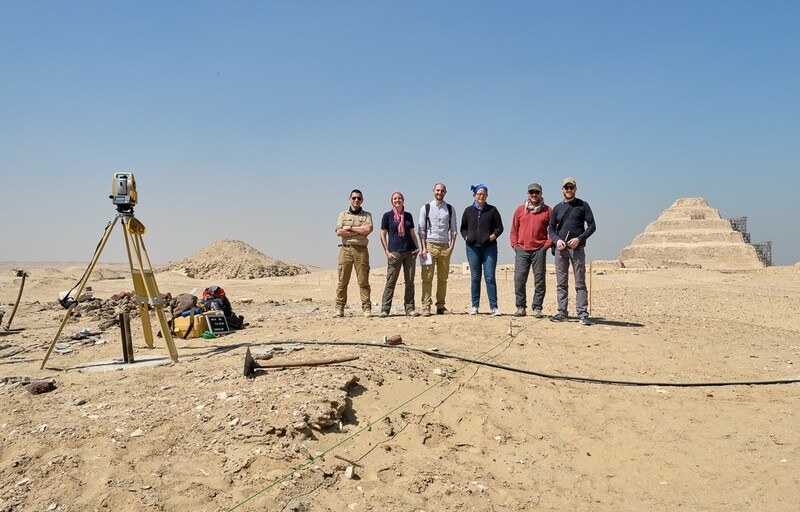 In addition, the 3D Survey Group started a new survey of the tomb of Horemheb. Caption: Valentina Gasparini, Alice Salvador and a few workmen in the tomb of Horemheb. Photo: Nicola Dell’Aquila. 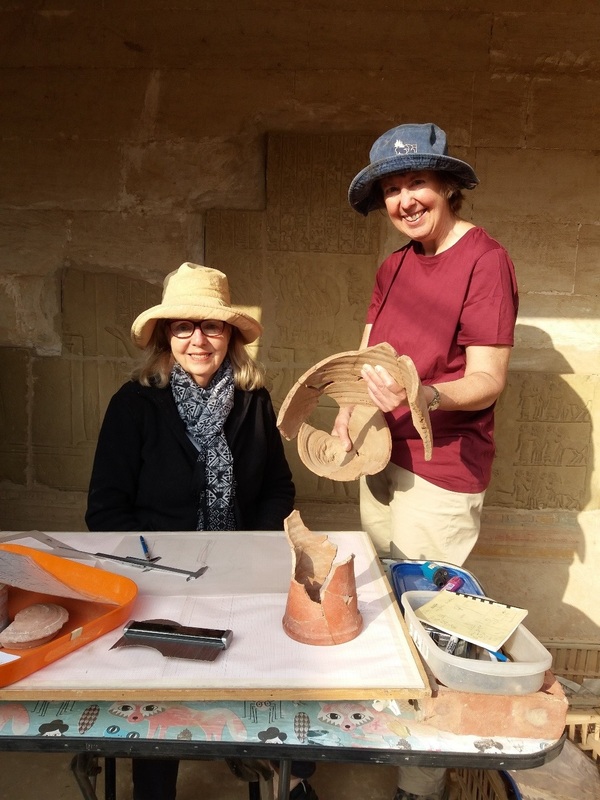 Caption: Lyla Pinch-Brock and Barbara Aston working on the pottery from the area south of Meryneith.